After the battle between Luffy and Chinjao the stadium is destroyed and the next round is postponed due to repairs. 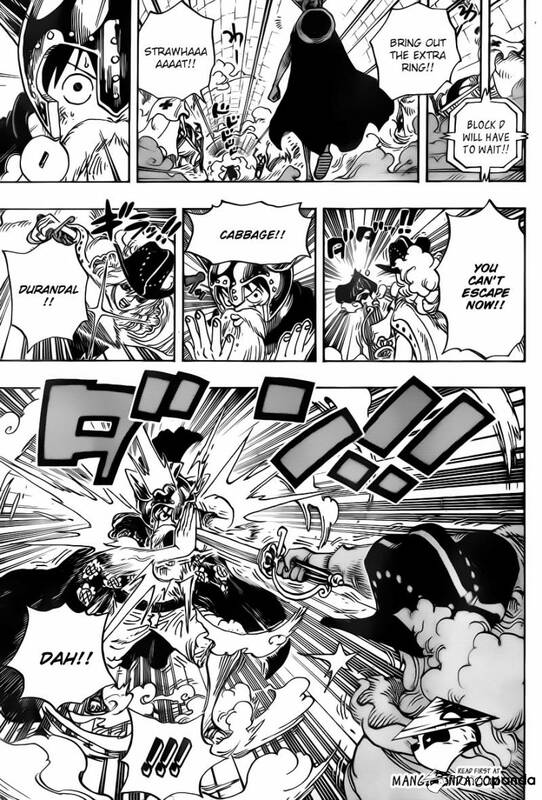 Bartolomeo explains that after hear Luffy decry ” I will become Pirate King” he became inspired. I wonder how Bartolomeo admiration for Luffy will play out in the ring. Chinjao after being fished out of the ocean thanks Luffy over restoring head, he then pledges his grandson’s army (once again Luffy’s charm takes effect). Luffy’s conversation with Blackbeard while short was insightful, Blackbeard’s taunt can only provided Luffy with more motivation. The conversation with the convicts was illuminating. The Donquixote Family continues to be exposed as being cruel. I think this will help Luffy who always seems to rise to the occasion when dealing with righting wrongs. What do you think about the Donquixote family? What do you think about Bartolomeo admiration for Luffy? This chapter featured a lot of humor but not much else which was refreshing. The second Hokage continues to shine as a character. 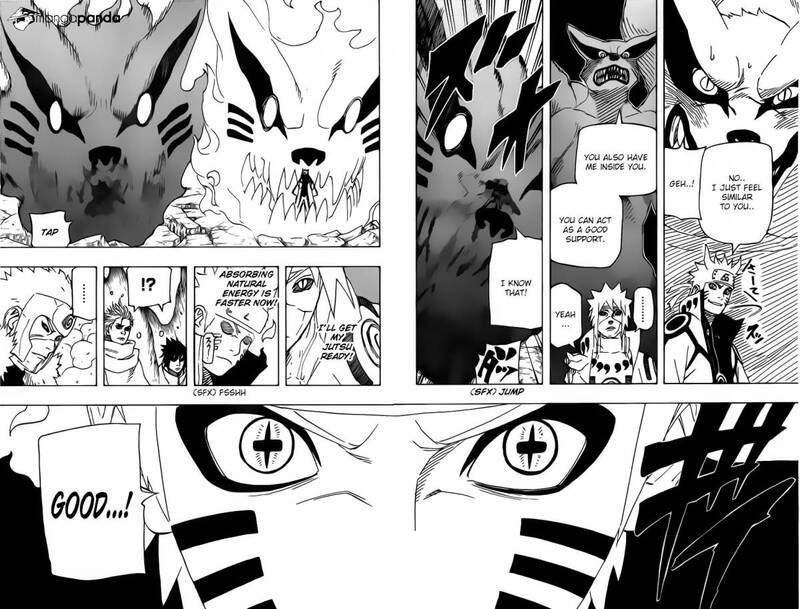 I found that I liked the conversation between Kurama and Naruto, especially considering where they started. Sasuke seeming jealous made me wonder what his response will be, I can’t seem to completely trust him. This chapter was mostly a bridge between action, as Obito finally began the ” infinite tsukuyomi”. So what do you think of this chapter? Was it too short? Was the humor refreshing? Too be honest I’ve always ranked Bleach third in the big three. I have (in the hiatus) almost forgotten why I loved Bleach. This chapter wasn’t full of action but I still enjoyed it. I think the build up in Bleach is the best among the big three. I had forgotten how clean and sophisticated the art style of Bleach is. 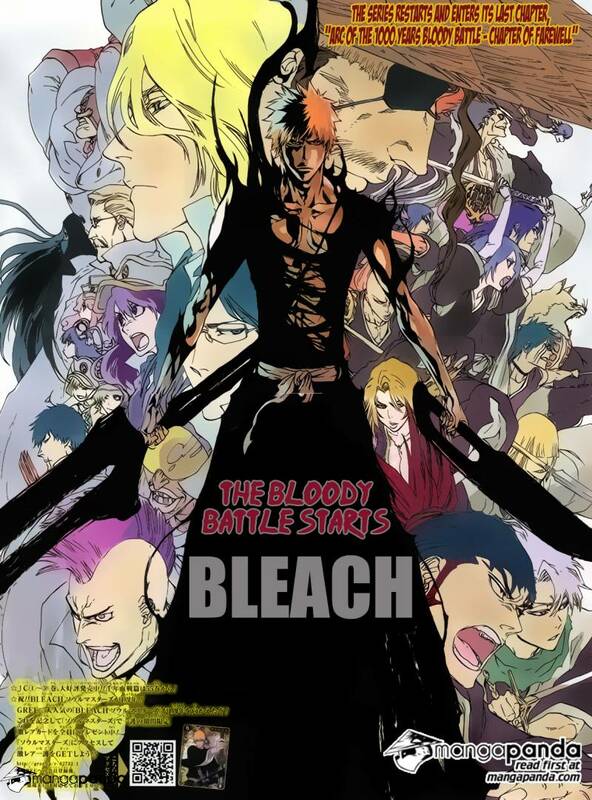 I also forgot how many great characters Bleach has. Two of my favorites Mayuri Kurotsuchi and Toshiro Hitsugaya were revealed with apparent new abilities. 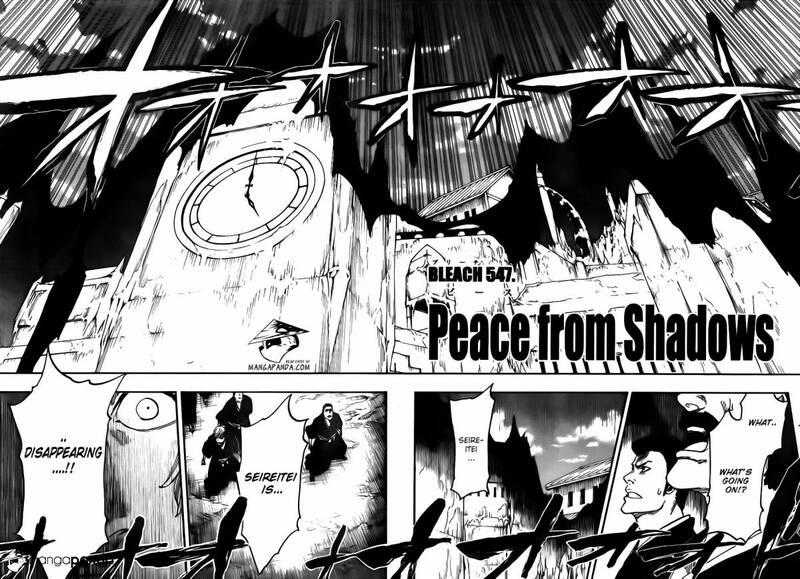 I’m excited to see how the battles play out especially Kenpachi. Will Shunsui Kyōraku or Jushiro Ukitake finally us their bankai? How will Sajin Komamura training change him? What about Yoruichi Shihoin and Kisuke Uraharawill they get involved? So many questions I’m just so excited. Are you?